Southwest Florida has some brilliant bright days. Perfect for photography. If the sun is in the right position that is. In fact, bright sunlight brings dark shadows and a powerful flash is a useful tool for getting good shots which might otherwise be mediocre. Here is an example. 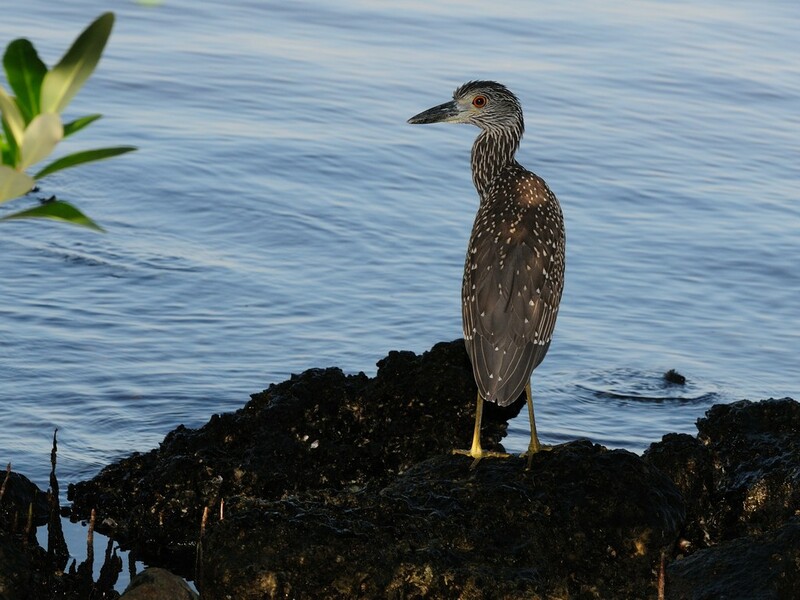 I found this immature Yellow-crowned Night Heron in Ponce de Leon Park. 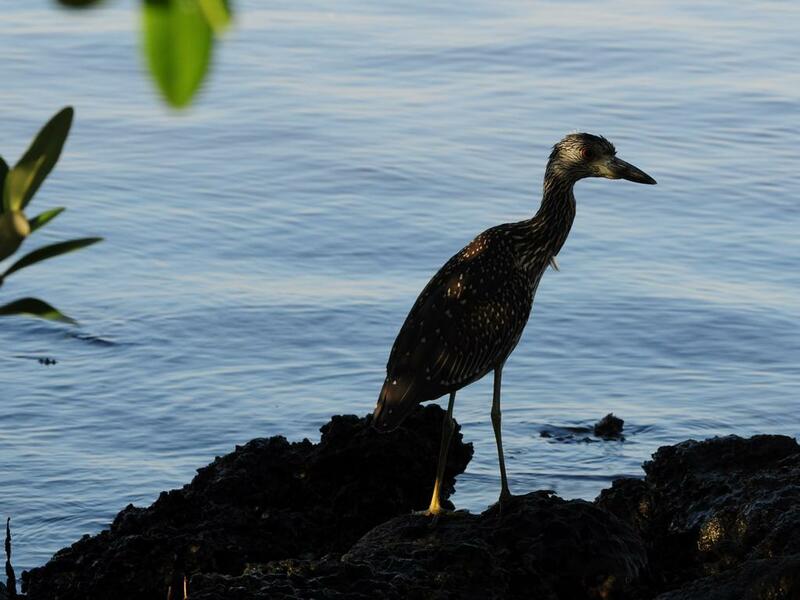 Unfortunately, it was a bit timid and wanted to stay underneath the mangroves in the shade. You can see by the harbor in the background that it was a bright day but, the birds speckled feathers were a nearly perfect match for the rocks and dappled shadows. I needed a few minutes to settle down to where I had a decent background against the water without spooking the little fellow. That provided some good separation with the water as a background for the bird but, I still had the mangrove shadows to deal with. The first shot here was with the flash turned off. I call that an insurance shot. You can sometimes retrieve a decent shot from one like this in post processing. You can see the shadow lines are harsh but, worse, there is little detail in the shadows. The second shot use the Nikon SB-800 to provide some fill light which brings the birds coloration out without totally overriding the existing light. Most manufacturers have flashes designed to work with their digital cameras with a number of specialized modes or allowing a great deal of control of the light. Nikon flashes have a BL (BackLight) mode for conditions exactly like this. The official name is Automatic Balanced Fill Flash and the flash and camera use the information from the exposure calculations to use just as much light from the flash as needed to bring the subject illumination in line with the background. Other manufacturers also offer similar capabilities with their flashes but, this integration of flash and camera is one reason I like to use system flashes on my cameras. The other is that it avoids having to calculate the differences between exposure values in the background and foreground of the image. You can let the exposure calculations be handled by the lighting system. This entry was posted in Bird, Camera Gear, Camera primers, Park and tagged Photography. Bookmark the permalink.